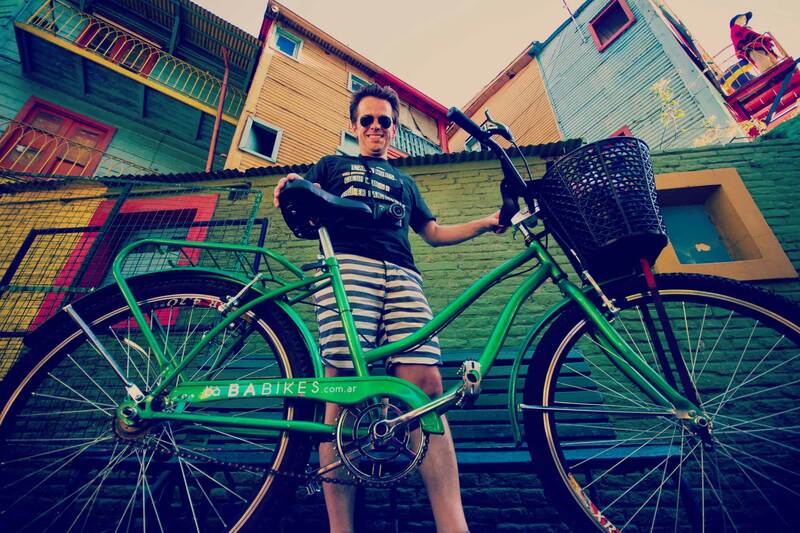 PAUL MCCARTNEY CHOSE BA BIKES IN ARGENTINA! What an incredible honor to receive one Beatle in BA Bikes. If Paul trusted us, you should discover why ... Check our tours! 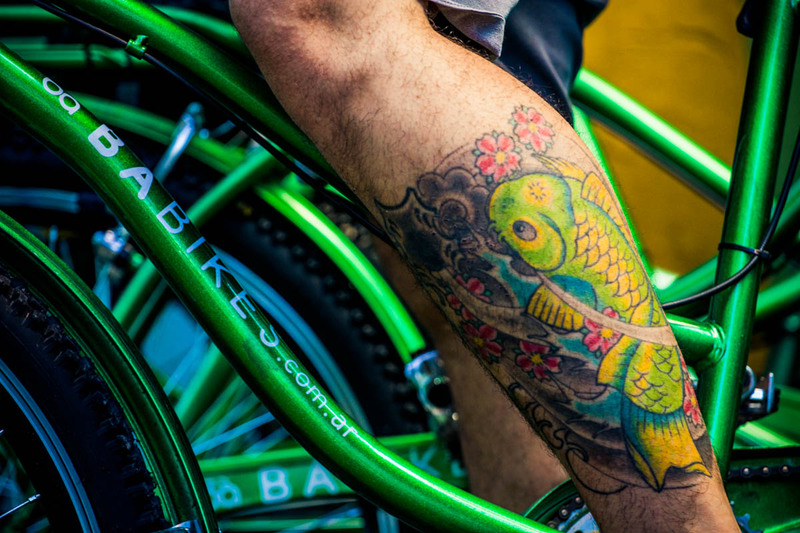 Experience Art Basel Cities through bike tour. 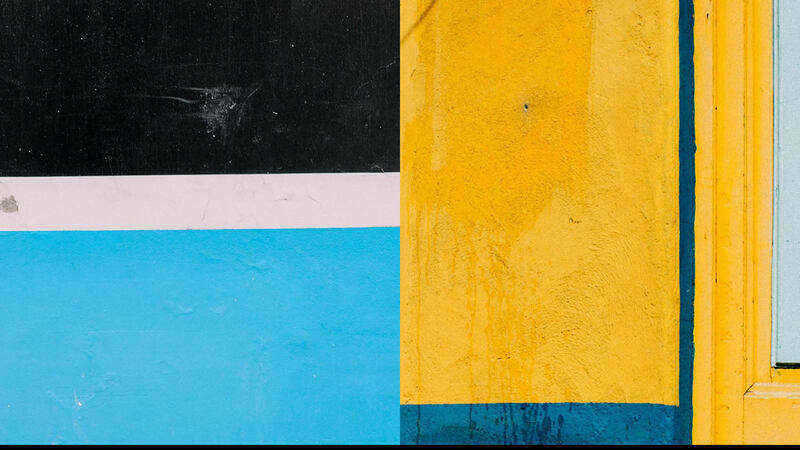 Curated by Cecilia Alemani, 'Hopscotch (Rayuela)' is a journey through Buenos Aires as seen through the eyes of 18 international and Argentine artists. 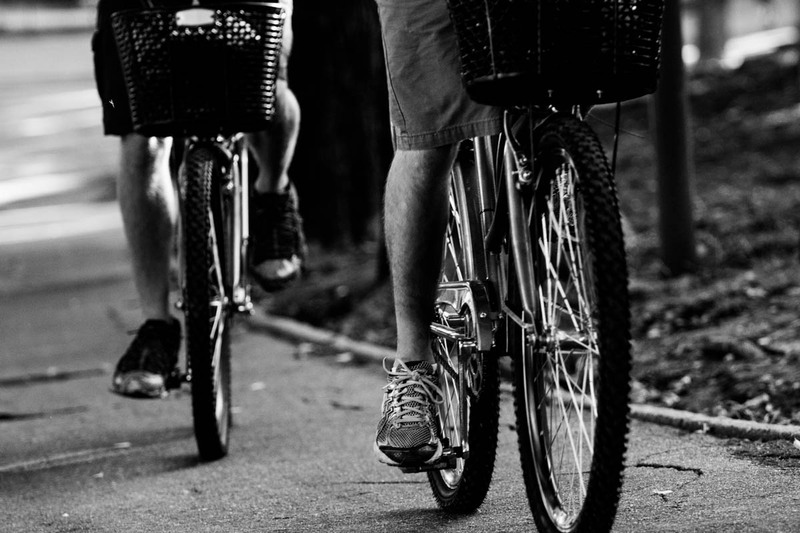 EXPECT MORE THAN JUST A BIKE RIDE! 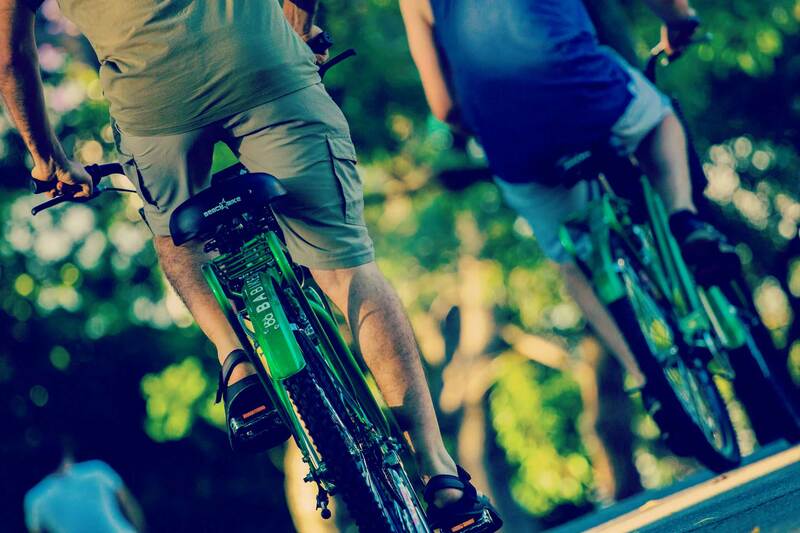 We’ll show you the city in a fast, fun and ecological way. Our mission is to turn your visit to BA into an unforgettable memory. 1000+ reviews on TripAdvisor make us the most recommended activity to discover BA! Certificate of Excellence 2015 & 2016! We are the only company to offer 100% local guides. Experienced, informative and fun, our staff is our main value. We are proud to offer the best price of BA for a service of excellence. 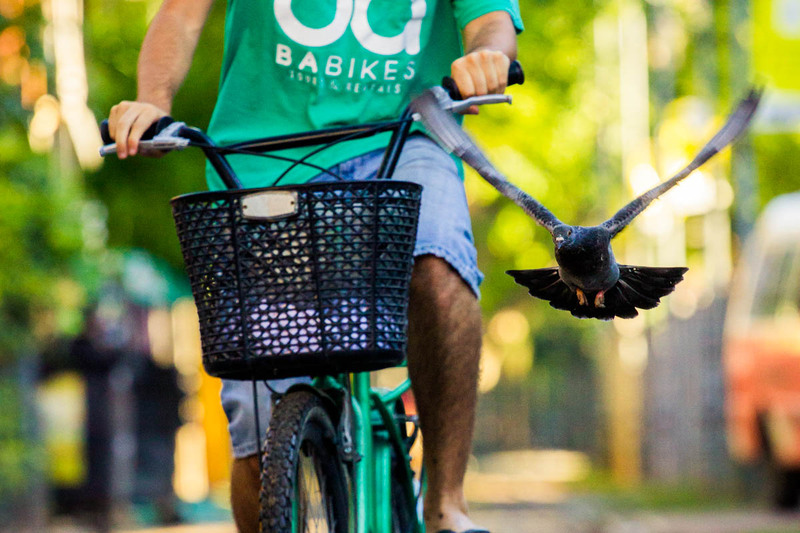 We aim to promote an ecological way to discover our city. 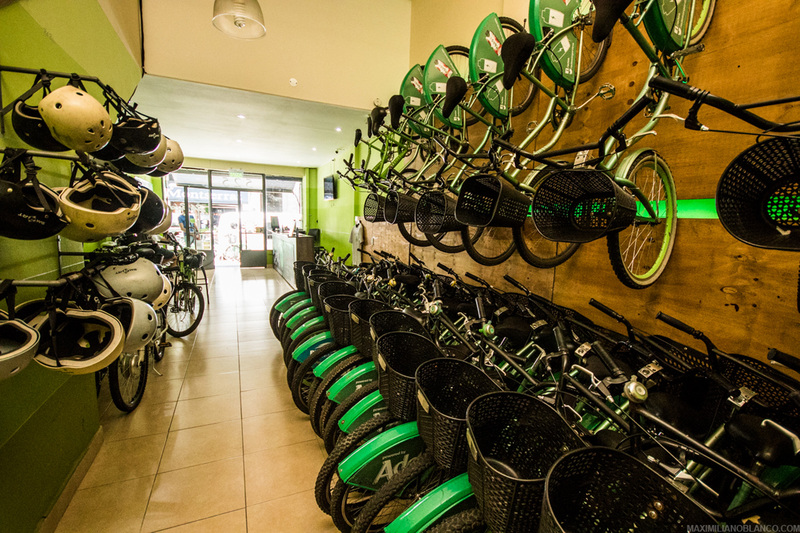 Get one of our amazing electric bikes that you will use along the 40km covered by this tour. A perfect tour if you are staying a short time in Buenos Aires or if you want to visit all the main attractions of the city in one day. WHY IS THIS THE BEST TOUR OF BUENOS AIRES? Reach the coolest attractions of BA on a relaxed ride through picturesque neighbourhoods and hidden backstreets. Our fun and experienced guides will lead the way and help you uncover the city’s best kept secrets. Food tours, Wine tours, Markets tours, Private tours. We have designed many featured circuits for you to experience Buenos Aires from different points of view, always on top of a bike! Enjoy every corner of this amazing city! 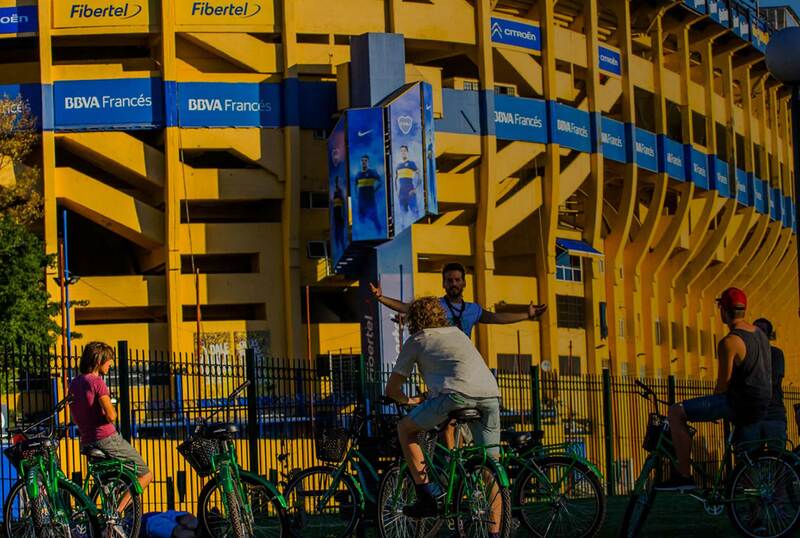 Rent a bike, design your itinerary and be your own guide through Buenos Aires. Our price includes helmet, locks and maps with recommended circuit. Ask for our free bike delivery and pick up service. "A few days in Buenos Aires"
We participated in a guided tour in the southern part of Buenos Aires. This tour was made by bike which is an exellent way of seeing this amazing city. I can strongly recommend BA bikes. We had very nice guide who told us a lot about the different spots we visited. "My favourite tour in BA"
I found this tour amazing with so much useful information about the south of the city from our tour guide. He knew all the history, was happy to answer questions and had an awesome sense of humour. I highly recommend this tour to anyone as we had such a laugh! We did the south route, and it was beautiful, so much to see, amazing scenery, and there is a bit of a stop in La Boca for you to walk around. Took us around the city in a way that we would not have otherwise done on our own, and we loved every second of it. 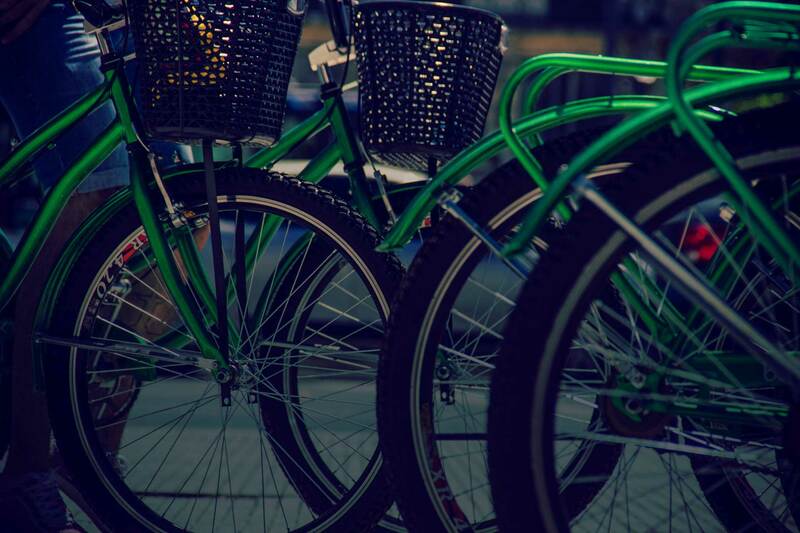 "23 feb 2016 BA Bike tour (South)"
They know everything about the history of the Southern neighboorhoods of BA and can talk about it in a very interesting way! You just keep on listening. They really take care of the small group in the sometimes hectic traffic in BA. Really worth it!!! BA Bikes was excellent! We did the South circuit. Our guides were great, very knowledgeable and fun, with great, easy to understand English and good humor. They really knew their history, and explained it in a way that was easy to understand. They talked about historical events, but also talked a lot about the current status politically, socially, and economically in Argentina and Buenos Aires, and gave us an idea of daily life here. "Unique way to experience the city"
My family and I recently did the North Circuit tour with BA bikes, and we had a great time. We only had a few days to see BA, and the bike tour gave us a great overview of the major sights and their history. Plus, we enjoyed the fresh air and the ability to cover a lot of ground in a short amount of time. Overall, we were really impressed with how professional and personable the staff was, and the price is unbeatable! Highly recommend it! 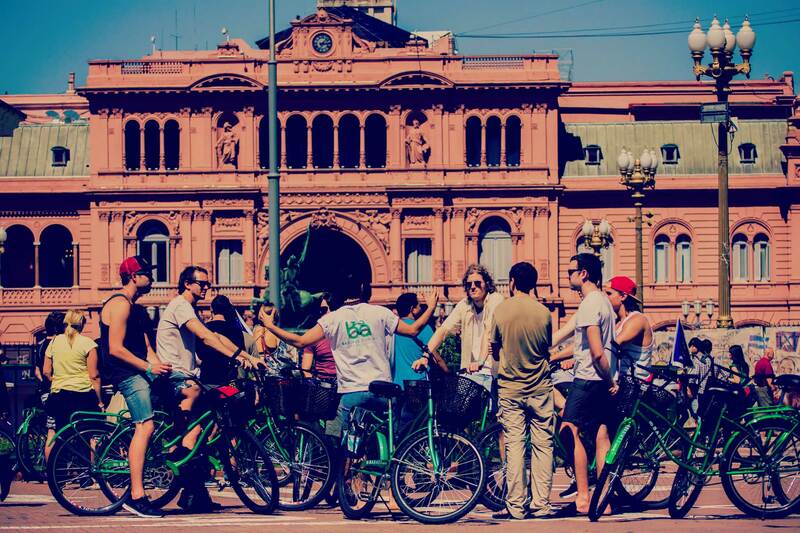 "Everything you ever needed to know about Buenos Aires, and on a bike!" I did the Market Tour. It was GREAT! Our guide knew so much about the city - it was like I had my own pocket historian. We cruised around the city, looked for dead people in the cemetery, and I had plenty of time to myself to cruise around the Frances and San Telmo markets. Would definitely recommend this tour. Bike was comfy and felt like it could take me anywhere. "North & South circuit in one day!" We did both circuits in one day, it was a great way to take in a lot of the city in a short amount of time. Both routes are good as they show very different parts of the city- Wall of recommendations in the shop were really useful, and we used a couple of them while we were in BA. Would highly recommend to anyone visiting BA. Thanks for the great tours! I took my family on the bike/food tour and it was the highlight of their trip to Buenos Aires. It was entertaining, unique, educational, and the guides were all around great guys! We definitely did not leave hungry. "Amazing way to see Buenos Aires!" BA Bikes is a great way to get an overview of the city. I highly recommend going on one of your first days to talk to a local guide and come up with ideas for your trip to Buenos Aires. Come hungry -- you will have lots of yummy food options. Ask for Gaston -- he was a very knowledgeable guide! Regarding the Food Bike tour I might say that is extremely enjoyable and i would highly recommend it to everyone. We have a little taste of pretty much every traditional meals we enjoy informally with our friends: empanadas in the plaza, bondiola and chori in the costanera, home made ice cream in av. de mayo and great coffee in a confiteria tradicional. Everybody LOVED it, and it was a great ending for our trip. Great relaxed trip around the south of BA, our guides were fantastic and had the group smiling all trip. The trip was also really informative especially the main plaza and both my girlfriend and I loved it. Cheers guys! "Wonderful way to see Buenos Aires"
The tour lasted approximately 4 hours and I definitely felt like I got a great overview of the South side of the city. The guides and their peers at the bike shop were also very helpful in recommending restaurants and other things to see in the city. Everyone seems to love their job and is genuinely interested in making sure you enjoy BA as much as they do. It was my first bike tour ever and I wish all the ones I will take in the future will be of the same level as this one. I took the South tour through La Boca, Puerto Madero, Plaza de Mayo and other place with. I had the luck to meet the group working at BA Bikes and I must say they one more friendly than the other. Could not recommend this more! 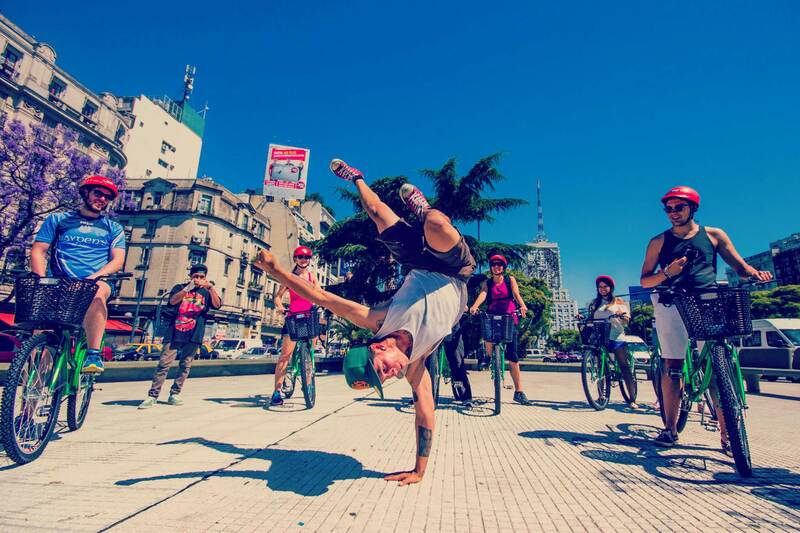 Check out our blog for recommendations, latest news and BA Bikes’ staff picks all around Buenos Aires and Argentina.